In 2006, Marsha Mehran published her first culinary fiction called “Pomegranate Soup” – It is a charming, fairy tale like story of three Iranian sisters who settle in a remote village in Ireland; start their cozy restaurant and in no time conquer the heart of the initially-skeptical villagers through their unique Persian beauty, warm hospitality and most important of all the strain of mind-blowing and heavenly-smelling Persian foods, side dishes, soups and desserts. 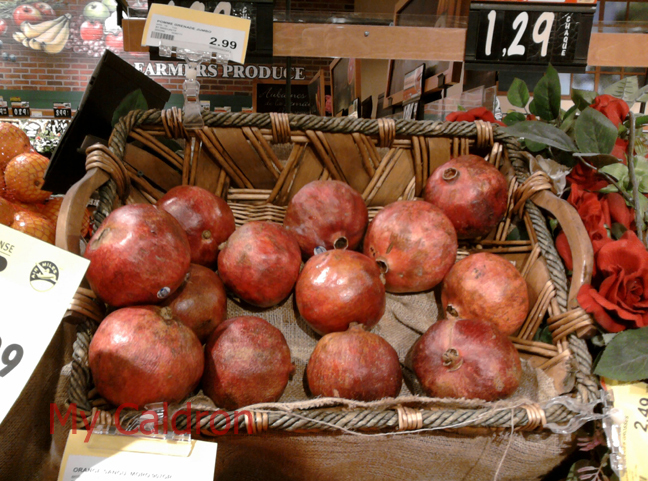 For years here in Montreal, I used to miss the unique tart taste of pomegranate, as it kept living in the food compartment of my memories. I remember quite vividly how the whole population of our crowded house back in Shiraz used to sit around big, round, copper trays in the yard under the delicate warmth of autumn sunbeams and lose track of the number of pomegranates we seeded and munched with delight. Mom kept urging us to eat more because it “cleansed our blood.” Indeed, pomegranate juice, sold in every street corner for a good portion of the year, was believed to be a miraculous remedy for a wide range of illnesses. 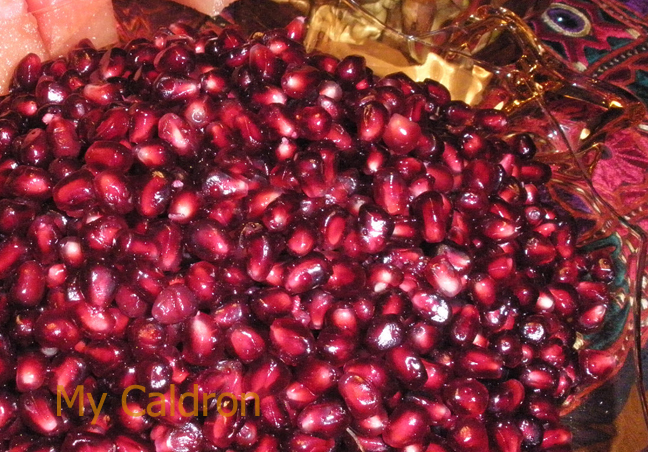 When I found out that pomegranate was in fact a strong antioxidant, I did not have access to it anymore, save once a year at winter solstice when all Iranian stores imported California pomegranate as part of our celebration of “Yalda”. For the past couple of years however, major supermarkets in Montreal are increasingly selling this marvellous fruit and I am delighted to have them handy once again. You should try it if you have not already, just look for plump, cut-and-bruise-free ones that feel heavy for their size.